Church communication is both art and science. You can use spreadsheets, but you also need finesse. You can print bulletins, but few people will read them. You can use social media but few people will see the updates. You can send email but a majority won’t see it in their inboxes. You can even print a newsletter and use snail mail to send it, but why in the world would you? I’ve been a pastor for 20 years and I’ve been designing church websites for 15 years. I’ve worked in church communications for over a decade and in the last five years, I’ve watched our church plant grow from two families to 500 or so regular attenders. What gets announced from the stage? What gets put in the bulletin? What gets posted on social media? What gets passed along via email? Who is in charge of all of that? This matters so much because people are constantly being bombarded with noise. From work, from school, from entertainment, people are listening to tons of signals. As a church communicator, you can send just a few more signals their direction about the most important things in life. It’s vital that you sort your signals to make the biggest ones stand out. We’ve mastered a few things, we’re making progress on a few things, and we’re still figuring a lot of things out as we go. It’s especially tough that the way people consume information and engage in community is always changing, and it’s always changing at a faster rate. 1. Keep track of everything in one spot. Our staff uses a shared Google Calendar of everything related to the church. Is a staff member going to be out of town? Someone using the building? Some kind of parents’ night out? New sermon series starting? Everything goes on that calendar. Then, each of us can have that calendar show up alongside our own personal and work-related calendars on our phones, computers, and tablets. Personally, I use Pocket Informant to manage my various calendars on all of my devices. 2. Define your major communication channels. If you have different people managing different channels, this gets even more complicated. Some churches wind up being great with email and not-so-great with social media. We try to give an appropriate emphasis to each channel, and we tend to look at our channels in two groups. These are our “big” ways of communicating “big” things that usually affect the whole church or a large segment of the church, or things that need to include the entire reachable community around us. We have five primary channels of communication. Our main church Facebook page. Our weekly email newsletter (they look plain on purpose – more on that later). Our News & Happenings Facebook group. And then we have lots of secondary channels that we would likely never use for the big, major announcements. Facebook pages related to our kids, youth, men’s, women’s ministries, etc. Various Facebook groups used for volunteer teams, small groups, etc. 3. Engage in some long-range planning. Special days for special causes like the sanctity of life, orphan care, missions, human trafficking, etc. Big local school dates – first day of school, last day of school, spring break, holiday breaks, etc. Ministry kick-off events, small group connection events, etc. Planning is so important because events and special emphases tend to sneak up on us. While we’re working hard to pull off a great summer kids outreach event, we’ve been slipping in our thinking about the back-to-school event. 4. Create a simple list of what’s coming up. And under each of those headings, I keep a simple, bulleted list of what I need to be on top of right now. Under this week is usually a checklist of what pieces of communication are going to go out – the email newsletter, bulletin, etc. Under coming up soon are things that are two to four weeks out that we need to be promoting now. And then coming up later are things that may need some attention right now but are still some distance out, such as our anniversary Sunday, Easter, etc. So far, all we’ve really done is define the channels, get everything written down and in front of us, and get organized so things don’t sneak up on us. 5. Sort your announcements according to their intended audience. Some announcements are community-wide and need a big promotional push to people not currently connected to the church. These will demand energy in terms of graphics, sponsored ads, and collaboration with other churches or local organizations. Other announcements are church-wide and need to make it onto the calendars of pretty much everyone who attends. And then there are announcements that pertain primarily to certain ministries or sub-groups. There is another group of announcements that get overlooked easily, but they’re pretty important. They’re the next steps announcements. 6. 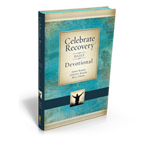 Include discipleship next steps with just as much weight as special events. Regardless of what new or special events are on the calendar, we always and consistently need to point people to a clear pathway with a next step that is easy to see. I’ve just come for the first time. What should I do? Fill out a communication card. I’ve just trusted Jesus for the first time. What’s next? Use a communication card or talk to one of our pastors about baptism. I want to get into a healthy community. How do I join? Come to our newcomers class. I need friends to grow with. How do I plug in? Come to a connection night or use our website to find a group. I’d like to get involved and volunteer. Where do I start? Let us reach out to you and hear about your passion and help you find the right spot. I want to give your church a bazillion dollars. How do I give? These are so important that our printed bulletin does not include any “events” but it does include next steps. 7. Use your website to speak to the unchurched. Include events on the website near the bottom, but use the main part of your website (everything above the “fold” and the major home page sections) to speak to the surrounding local community. Check out the Pro Church Tools’ list of top church websites for some inspiring examples. You’ll notice that these websites overwhelmingly are designed to clearly and confidently communicate to outsiders, not insiders. Steve Fogg just published a list of 17 of the best church websites to learn from too. I believe that your church’s website is the very top of the “funnel” of communication; you need to use other means to get the word out about “church” stuff and sub-community stuff. 8. Use social media mostly to inspire and rarely to inform. You can’t not use Facebook to get the word out about events. It’s ideal. But if all you do is announce events, you’ll create a situation where people don’t engage much because they feel your information isn’t relevant to them. And if they don’t engage much, they won’t see as many of your event announcements anyway. This is just how the Facebook algorithm works, like it or not. Inspire people (with an image, a quote, a link, a verse, a devotional). Inspire people (with more of that, or maybe a video, or a question). Inspire people (with a story, another link, another quote or verse). Inform them of some upcoming event you hope they’ll sign up for or attend. Here’s the biggest problem with using social media to keep people informed: There is no guarantee they’ll ever see it. In fact, overall, there’s less of a chance they’ll see an announcement on Facebook than if you use email. 9. Use email mostly to inform and rarely to inspire. Don’t people hate email? Only as much as they hate the phone but still depend heavily on it. Isn’t email a decade-old way of communicating? Not according to some of the world’s leading marketers. It is essential that you build the list. Get people’s permission when they fill out a card, check the kids in, or visit your website to add them to your email list. This is an area worth learning more about. Then, every week, send an email. What kind of email? As plain as possible, so that it looks like a regular email. With an emotion-evoking, personal subject line. From the lead pastor, if at all possible (even if someone else handles all the technical stuff). Include in that email the big signal — what is Sunday all about? Also include the medium signals – what are the two or three other big events coming up? And include at least one next step with a clear call to action. Don’t include the word “free” or a “$” sign in the subject line. Ever. Your email will never see the light of the inbox and will go straight to spam. Don’t include more than a few links – again, spam folder or “promotions” tab. Don’t include more than a few graphics, and having only one small one is ideal. The goal is to increase the “open rate.” Here’s a chart of our church’s recent open rate. The straight line is the “industry average” and as you can see, we’re quite a bit above it. 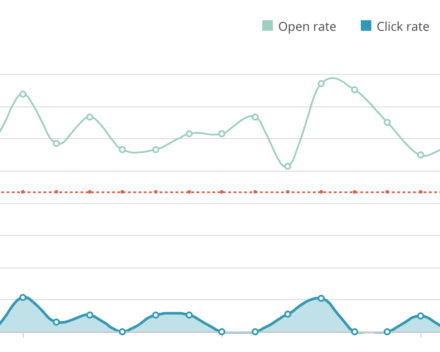 Our “click rate” is low because we don’t include many links. My favorite call-to-action with a church email newsletter isn’t “click here” but rather “hit reply.” That way, it’s relational and conversational. 10. Use the bulletin / program / worship folder to communicate with your guests. 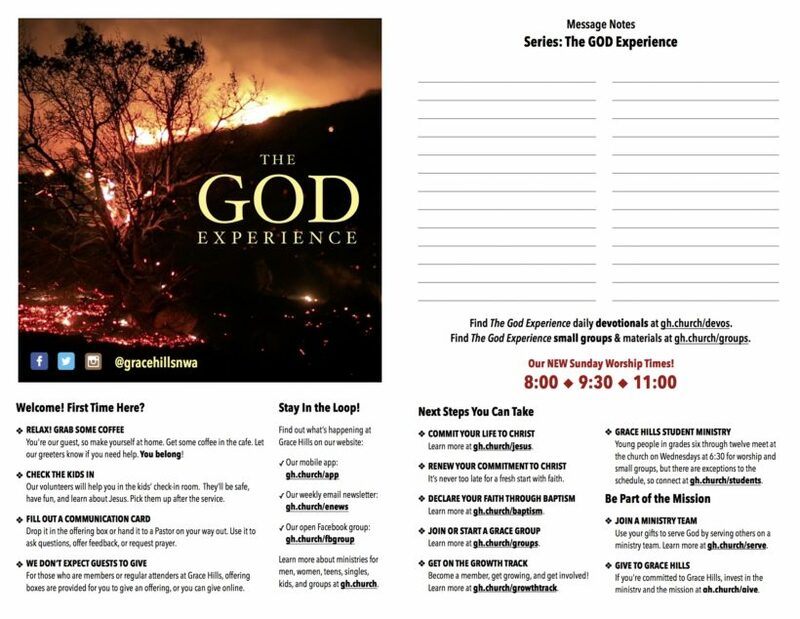 I’ve written about this elsewhere, but I believe that the primary purpose of your weekend service bulletin should be to give something to your greeters to hand to guests on their way in to help them know what to expect. You can do other things, but make that primary. What to expect while you’re here. What to do next when you leave. The weekend worship service is, typically, the next layer of your funnel. The website is the first and the weekend gathering is next. So your role isn’t to inform all of Sunday’s attendees about everything but rather to inform them of the next thing. This also helps us in a very practical way. We don’t design and print a new bulletin every week. We usually create and print one per message series. Here’s a picture of one of our bulletins, or you can download a PDF version or an Apple Pages Version. 11. Use the screens to prompt people to investigate. Do people pay any attention to what is on the screens? Some say they don’t. But here’s how I know people do watch the announcement screens: Whenever there’s a mistake, they tell me about it. 12. Use a mobile app (if you have one) to talk to the regular attenders. Not every church needs a mobile app. In fact, most churches probably don’t. You do need a mobile-responsive church website, but I wouldn’t spend the big bucks on an app until you reach a critical mass where at least a couple hundred people would benefit from the very few app-exclusive features. As a nice way to present our media – recent sermons, etc. 13. Use closed communication circuits to communicate to sub-communities. Boards, committees, small groups, and volunteer teams are all examples of sub-communities within your church. With rare exceptions, you should never, ever, ever use your primary channels to communicate information to these sub-communities. By the time people have moved from the community around you to the crowd on Sunday and then into the congregation of regular attenders, you will likely have better, more specific ways of communicating with them. We use closed and secret Facebook groups for small groups and volunteer teams. We also use Planning Center to schedule and manage volunteers for the weekend services. If you’re developing great leaders, they often develop their own means of texting, emailing, and messaging their teams and groups. 14. Never stop learning, because the communication field never stops changing. People change. Culture changes. The media through which people send, receive, and converse about information change. So it’s vitally important that you be flexible. This guide will be out of date quickly unless I come back and refresh the information in it. So don’t get discouraged if you feel a little overwhelmed at times. None of us knows it all. None of us has mastered it all. But together, we can help and sharpen each other to communicate the Gospel more effectively! This was originally published at Rewired Social, a blog about social media and the church. Brandon has been a pastor since he was nineteen and has served churches, large and small, including serving as a Pastor at Saddleback Church. Currently, he is planting a purpose driven church in northwest Arkansas.